Many studies show the importance of breastfeeding for brain development in infants. Dietary intake of essential fats is beneficial for the prevention and management of mental disorders. Fat may have a terrible reputation right now, but we need essential fats for normal functioning and optimal health. Since the human body can’t produce a number of fats, we have to get them from dietary sources. Essential fats include two fatty acids, linoleic acid and alpha-linolenic acid, which are both omega-6 fatty acids. Under certain circumstances (for example in some diseases), some fatty acids like DHA (docosahexaenoic acid) and gamma-linoleic acid may become essential. About 60 percent of the brain contains fats, making essential fats are a substantial part of the brain structure. As messengers, they are needed for production and appropriate function of neurotransmitters and for the regular function of the immune system. A long-term low fat diet in certain periods of life can result in cognitive malfunction and brain diseases. At the age of six, most parts of the brain are entirely developed, so essential fats play the most important role in brain growth during the fetal and postnatal period. Many studies have proven that appropriate diet or supplementation with essential fats has positive effects on the human brain health and function. Breastfeeding Linked To Higher IQ Because Of The Fat In Human Milk? Human milk contains large amounts of saturated fatty acids that are needed for the brain’s function and growth, and many studies suggest that prolonged breastfeeding can help the development of the brain. Fatty acids from breast milk are essential for the production of myelin, the protective material on the neurons axons. Brain tissue analysis shows higher levels of DHA in breastfed babies, hence many scientists call DHA a “smart fat”. Breast milk also contains enzymes and hormones which are needed for neural development during infancy. One recent study from Brazil, published in The Lancet Global Health, shows a significant association between the duration of breastfeeding and IQ. This study began in 1982 and was conducted on a cohort of 5914 neonates, for whom the information about breastfeeding was collected in early childhood. After 30 years, in June 2012, 3493 of these participants were available to continue the study. The study proved that those participants who were breastfed for one year or more, compared to the participants who were breastfed for less than one month, had higher intelligence quotient scores, a higher level of education and higher incomes. A meta-analysis of 14 observational studies and two randomized trials from Belarus and the UK also demonstrated that longer breastfeeding increases intelligence at a later age. A Lack Of Omega-3 Fatty Acids Increases The Risk Of Alzheimer's Disease? Docosahexaenoic acid (DHA) is a long-chain omega-3 fatty acid required for normal brain function. 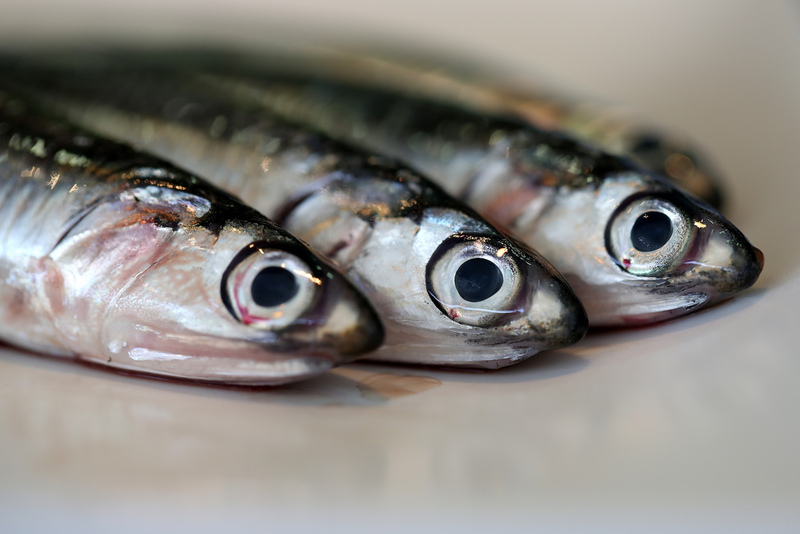 Fatty fish, like mackerel, salmon and tuna, contain high levels of DHA. At lower levels, DHA can be found in meat and eggs. DHA deficiency is associated with deficits in memory and learning. Many studies showed that reduced dietary intake of DHA is an etiologic factor for Alzheimer's disease and similar types of dementia. With aging, and especially among patients with Alzheimer disease, DHA levels in the brain tend to decrease, which suggests that a drop in DHA levels could contribute to the deterioration of memory and other cognitive functions. Biological studies and experiments on animal models suggest that omega-3 fatty acids play a role in primary prevention of cognitive decline by improving the blood flow, decreasing inflammation and/or reducing the amyloid-β pathology. Emsley R, Oosthuizen P, van Rensburg SJ (2003). Clinical potential of omega-3 fatty acids in the treatment of schizophrenia. CNS Drugs. 17(15):1081-91.